With so many water heaters to choose from, finding the right model for you can become a challenge. With a Bosch tankless water heater, you can narrow down your options to include only the best. Read our review of Bosch’s products to see how they can save you money today. 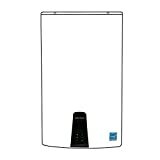 If you’re looking for a new tankless water heater, look no further! Bosch, a leader in water heating needs worldwide, offers a range of top water heaters with innovative models and energy-efficient units stamped with the Energy Star approval. Explore our buying tips and find the top-selling models the company offers right now. Before you select the Bosch tankless water heater for you, read the following review to learn everything you need to know. Find out what Bosch has to offer and why real customers adore their products, then check out what units you can get for your money and read what the public says about using Bosch. We’ll break down all the important information for you in one helpful, easy review. What Is a Bosch Water Heater? Bosch is a German manufacturer located in Gerlingen, Germany. They started out way back in 1886 with founder Robert Bosch, and the company is ranked one of the leading choices for water heaters in Europe today. Known for their innovative, efficient, and reliable designs, Bosch quickly became a water heating industry leader. Today, they have over 350 subsidiary companies under their belt and the company functions in over 50 different countries. Bosch offers a wide range of on-demand or point-of-use water heaters for either residential or commercial use. Their models are cost-effective and energy efficient. Plus, depending on where you live, most of their units qualify for a federal tax credit of up to 30% of what you spent. When you factor in the high energy efficient rating Bosch carries, there’s no wonder people love this company. With gas tankless water heaters, Bosch creates products that are innovative and technically refined to meet all your needs. They’re always striving to create the best units on the market, and they even patented a new heat burner design that allows for added efficiency and durability. Most conventional water heaters will continuously heat water 24 hours per day and 7 days a week, no matter if you need hot water or not. Bosch’s tankless water heaters, however, are more energy efficient because they only heat the water when you need it. If you turn on a hot water tap around the shower or kitchen, for example, the water heater kicks on to deliver your needs. Not only does this mean these models are more energy efficient, but they will also keep your energy bill extremely low and potentially save you up to 50% on your current energy costs. For nearly half the price you pay in utilities now, you can save money long-term. However, the downside to saving money on your utility bill is that the upfront costs to install the water heater can be expensive. It is an investment in your future. If you buy the right water heater for your needs though, you will save money long-term. Bosch is an industry leader that offers the best water heating products available on the market today. Their gas water heating devices alone show how technologically advanced the company is, and Bosch has solutions for any type of customer’s needs. Their reputation stands strong. Prestige aside, the company can save you a ton of money on your water heating costs. Save over half your utility bill and receive a hefty tax credit back from the government when you buy a tankless water heater. They also reduce gas emissions, and with more than 90% efficiency, you can condense while saving more than ever. In fact, Bosch’s Greentherm 9000 series contains the industry’s highest energy efficient models available, with a factor of 0.99 and thermal efficient near 100%. The new Greentherm and Therm series models are more advanced, safer, and more reliable and durable than other water heaters out there. One of the coolest things about Bosch’s models is that if you find the tankless water heater isn’t performing fast enough for you, they offer tankless models that have a circulation pump built in to allow hot water to reach your tap faster. If the parts fail, they’re all serviceable and easy to replace. They’re convenient to use and the overall experience they provide is better than traditional water heaters found in many homes today. Although they cost more than conventional units, they were built to slash energy costs and last longer. Built with high-quality in mind, Bosch water heaters are built from the ground up and last around 20 years. That’s near twice the length of time many conventional water heaters last, which average around 6-12 years of use. So, these water heaters essentially pay for themselves over time. Most Bosch models will set you back in the upfront costs. The gas units range from the lowest prices at $$ with the Therm 830ES model to $$$ with the Greentherm 9900 WiFi model. Electric models, on the other hand, cost much less and range from around $ to $$, with the Tronic 5000C WH36 model as the most expensive option. With a wide range of prices from various online sellers as well, you may be able to find discounted rates from local sellers or around the web. A higher cost could reflect steep shipping costs that could add on another fifty to eighty dollars for a gas model or less or electric. Look for free shipping from online sellers to cut back costs. Westside Wholesale, for example, offers free shipping on most models. You can find deals easily online to save more money. 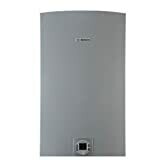 ProWater Heater Supply also offers Bosch heaters on clearance, or you can easily find models on eBay or Amazon. If you want to play it safe, stick with purchasing through Bosch’s official website. Coupons and deals are everywhere, and you may be able to even find a refurbished product if you want to save an additional 10-15% on the original price. Keep in mind that you may also need to pay for the added water heater installation costs. A professionally licensed handyman could cost anywhere from six hundred to fifteen hundred dollars depending on your location, the professional’s pricing, and the scope of the project. Gas water heaters will typically cost more to install than electric, even though gas units typically have lower running costs. If you’re thinking about installing a Bosch water heater yourself, think again. The work is entirely dangerous, with the risk of shock from electrical units and explosive gas leaks or deadly carbon monoxide leaks from gas models. Bosch will also deny any warranty claims if the unit wasn’t properly installed by a licensed plumber or follows the strict specification guidelines. The company also offers complete customer satisfaction, and their hot water products come with a comprehensive warranty should any type of damages take place. This means you don’t need to worry about the money you’ve invested in your Bosch water heater, and you can rest assured that many other customers choose Bosch for this reason alone. This warranty lasts 15 years for gas models with a heat exchanger and 5 years for all general parts. Remember, Bosch will only accept warranty claims if you have a professional install the unit to ensure there are no important user mistakes. Real customers love their Bosch water heaters. Many people say the Bosch Therm ES 1210 is the most powerful and best unit to buy from this manufacturer. Whether you are in a commercial or residential setting, it comes with an ultra-efficient gas burner and works well in large homes or when used for multiple applications. It can even take care of the needs of up to four bathrooms at the same time. If you’re looking for temperatures over 140 degrees Fahrenheit, the Greenthem C 1050 has the ability to reach as hot as 184 degrees Fahrenheit with its high temp kit installed. Both models are the same size that allows them to easily be mounted on the wall (even outdoors) and receive awesome customer ratings, but the Therm ES 1210 is the most energy efficient and has an Energy Star compliance. You can read more reviews on other top-ranked Bosch models via Tankless, a website on the world of tankless water heaters. 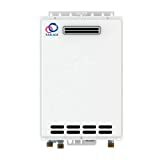 Compared to other brands like Rinnai, Takagi, Navien, or Rheem tankless water heaters, Bosch is a larger company with a large range of parts and other necessary equipment. Bosch offers all your water heating needs in one convenient location, and they focus on both gas and electric models. Instead of focusing on creating just one really good water heater, they offer a line of awesome options that set them apart. However, when compared to Navien and Rinnai, Bosch doesn’t offer as many high-performance or convenience features. The Greentherm and Therm series seeks to change that though with their built-in electronic control board and LCD screen display to monitor and control the temperature of your water. Rheem, EcoSmart, and a few other brands also offer both gas or electric models. This allows you the versatility to choose which feature you like the most and perhaps further cut back your utility costs. Most of these models from these brands have good ratings, ranging from mediocre to good. However, Bosch has excellent ratings all around. Some companies focus on creating one good model while Bosch works to make every unit reach perfection. No matter what the competitors throw out there, Bosch has a reputation as the leading supplier of heating systems for your home that no other company in the world can match. To sum up our thoughts, Bosch is an industry leader for a number of great reasons. The products they create are top of the line and come in a variety of shapes and sizes. No matter if you’re looking at gas or electric models, they have a great option to suit your every need. They’re also easy to install, maintain, and handle on a daily basis. But the best part about Bosch tankless water heaters is the amount of money you can save long-term. They’re entirely energy efficient and lower the energy and water consumption in any typical household or commercial business, even when you have four separate bathrooms running hot showers all at once. The savings don’t stop there! With the addition coupons and other deals, you can find online and the 30% tax cut, this is the most cost-effective option on the market. Sure, the upfront cost may be steeper than other options, but they’re built to last nearly double the amount of time as most water heaters. There really is no better choice.